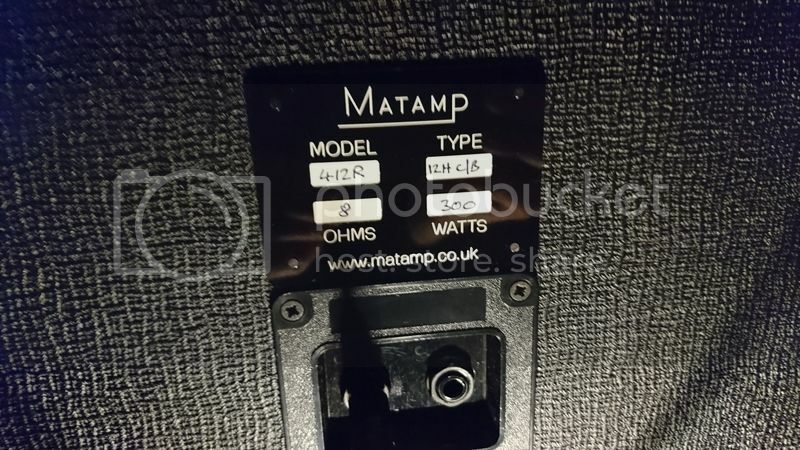 Matamp 412R with Celestion G12H75 Creambacks. It sounds incredible. Incredible. It's the warmest guitar sound I've ever heard. There seems to be so much more happening and so much more sound. It nearly sounds like there's chorus on sometimes. It's very detailed as well as warm. And loud. Like, very, very loud. 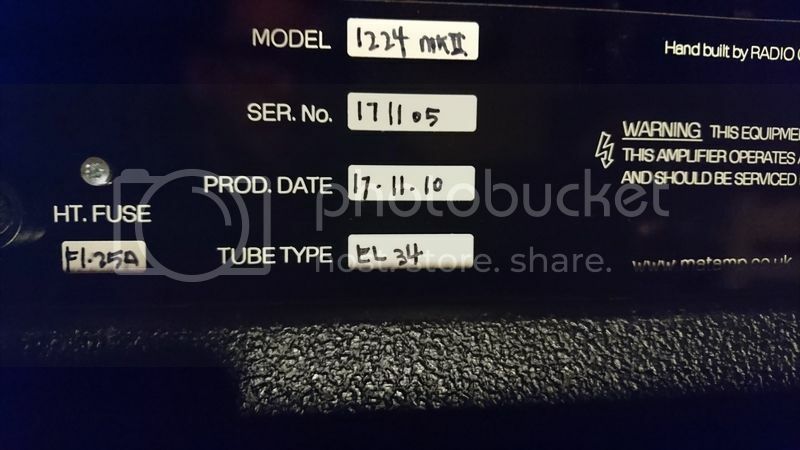 It also seems to bring out a lot more detail from the settings on the amp. Adjusting anything has a noticeable impact on the sound. Really looking forward to getting to know this head/cab combo now. It's late at night though and I have work stuff to do, so I'm not going to get a chance to really play hard through it now. It also pleases me greatly that the handwriting on the back of it matches the handwriting on the back of my head. I sometimes think that 4x12s are overkill, then I hear someone playing through one and instantly remember why they're so awesome. Creambacks FTW though. I only had chance to try the 65W version, but various comparison videos seem to suggest that the 65s and 75s sound pretty similar to one another. They have this great "open" sound that lacks the spikes in the frequency response like you get from, say, a greenback or V30. I'm guessing that the incredible-ness you're hearing is the amp shining through without the speakers colouring the sound too much. I just hope that they fitted castors! 412s are overkill. That's why two of them. I'd love a blast through that Paul, I bet it sounds incredible. 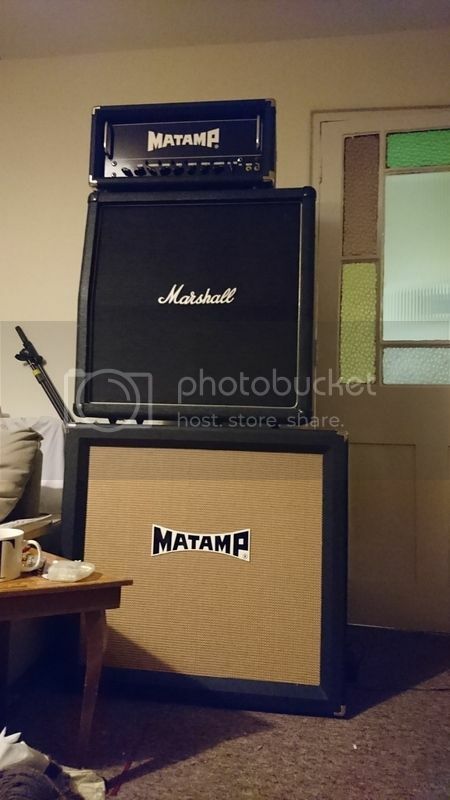 I was thinking of getting another Orange 1x12 recently, to complete a mini stack. 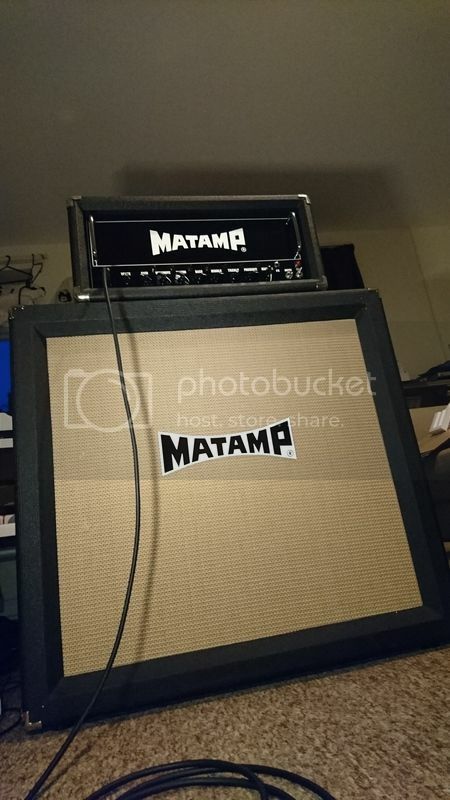 The most important lesson I ever learned about 4x12s came via my Vibro Champ XD "dirty British stack" model. The only difference between "pfft, nice try 21st century" and "oh wait that's not bad" was running the amp through my 1960A. They also bother the neighbors mildly less than pretty much any size open-cab speaker/combo running at the same volume, it's a more focused and contained sound. That's true. They're cumbersome and not practical and overkill but they're also what I think our instrument is supposed to sound like. I like 4x10" better, tighter bass, and even then I have to turn down the bass because there's too much. Plus I can carry it up the stairs by myself.